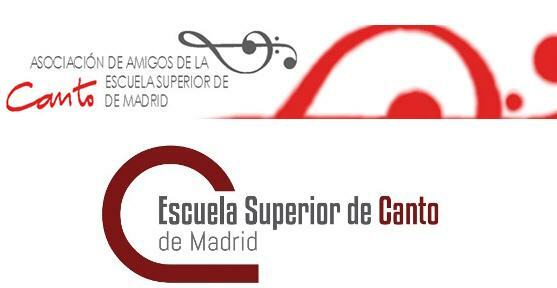 Curso de Interpretación y Técnica vocal. Polaski ha desarrollado una impresionante carrera dentro del repertorio de soprano dramática, y en especial en las óperas de Wagner y Strauss. También como liederista y en el repertorio de concierto. Además, el director de casting de la Staasoper Stutgart, Boris IGNATOV ofrecerá a los participantes clases de preparación a audiciones de teatros profesionales. After being educated in the USA, Polaski moved to Europe. Her debut was in 1976 as Senta in Richard Wagner‘s The Flying Dutchman at the Musiktheater im Revier in Gelsenkirchen, Germany. She subsequently sang on a number of opera stages in Germany (for example, Mannheim, Ulm, Karlsruhe, Darmstadt, Hannover and Freiburg). Her repertoire comprises primarily dramatic soprano roles, such as the Wagnerian roles of Isolde in Tristan und Isolde, Brünnhilde (Der Ring des Nibelungen), Kundry (Parsifal) and Ortrud (Lohengrin), and Richard Strauss‘ Ariadne auf Naxos and Elektra, Berlioz‘ Didon and Cassandre (Les Troyens), Berg‘s Marie (Wozzeck) and Janáček‘s Kostelnička (Jenůfa). Polaski achieved recognition in 1988 at the Bayreuth Festival in the role of Brünnhilde, conducted by Daniel Barenboim. In November 1988, after a single performance of The Flying Dutchman with the San Francisco Opera, Polaski, a born-again Christian, canceled all her future engagements and announced she would sing only spiritual music. In 1991 she reprised her performance, and under James Levineshe sang the role for five consecutive years from 1994. She has appeared as a guest in Amsterdam, at the Gran Teatre del Liceu in Barcelona, at the Deutsche Oper Berlin, the Berlin State Opera and the Berlin Philharmonic, in Bonn, Chicago, Duisburg, Dresden, Florence, Frankfurt, Geneva, Genoa, Hamburg, Copenhagen and Cologne, at the Royal Opera House Covent Garden in London, in Lucerne, Mailand, Mannheim, Montreux and Munich, at the New York Metropolitan Opera and the Carnegie Hall, in Oslo, Paris, Rome, Salzburg, Stuttgart, at the Sydney Festival, in Tokyo, Vienna, Yokohama and Zürich. She made her debut at the Vienna State Opera in 1996 as Brünnhilde; she has also sung Ariadne, Elektra, Marie, Ortrud and Kundry there. She was named an Austrian Kammersänger (a title of honor for singers) in 2003. Polaski has also made a name for herself as a Lied and concert singer. The title role of Elektra has been a feature of Polaski’s repertoire for years, and she has performed it with major orchestras, directors and conductors (for example, Simone Young, Daniel Barenboim, Lorin Maazel, and Semyon Bychkov).